The hotel is open 7 Days for both lunch and dinner. We are open 7 days a week for accommodation. The hotel doesn’t provide breakfast, but there are nearby cafes which are open for breakfast. Should I make a booking for lunch or dinner? Yes, we always recommend booking for both lunch and dinner. We wouldn’t want you to miss out! How far is it from Melbourne? Depending on which side of the city you are coming from, you’ll need to allow between 3 and 3.5 hours. Generally the opposite of Melbourne! Summer can get pretty warm and winter very chilly, check out the weather for Whitfield here. We are located at the corner of Mansfield and Whitfield Roads, in Whitfield, Victoria. It is approximately a 3.5 hour drive from Melbourne, and 1.5 hours from Albury. The most direct route is along the Hume Freeway from both directions. 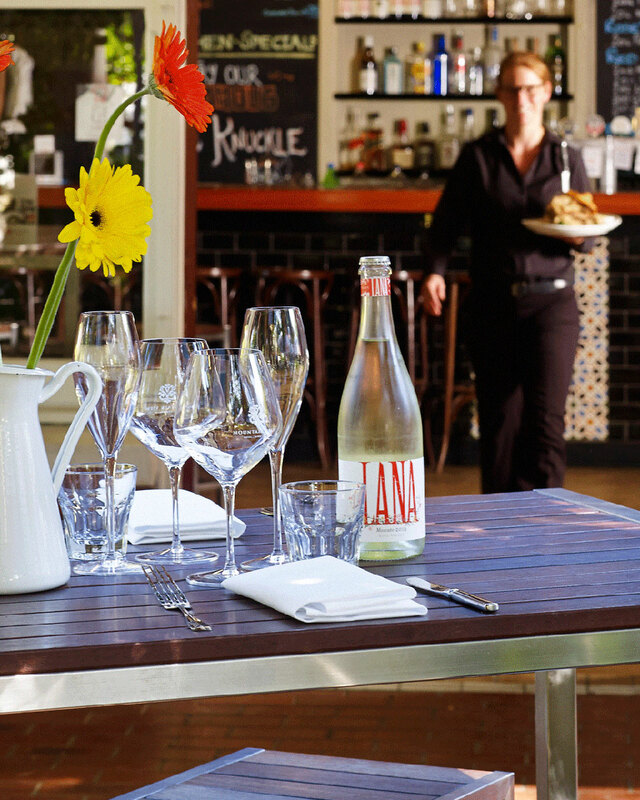 A more leisurely route from Melbourne will take you through the Yarra Valley, Yea, Mansfield and then onto Whitfield. From Albury, you could drive via Beechworth and Milawa and follow the King Valley down to Whitfield. Your pooch is most welcome to join you for lunch or dinner in the beer garden or under the verandah, provided of course that you pick up after them and they are always restrained. Where's the best place to go fishing? We’re not telling, but come up and stay a few days and you might pick up a few secrets. Do you have kids meals? We most certainly do! The kiddies will be just as well fed as you, with different selections of the menu prepared by our chef just for the kids. Indeed we can. As all of our menus items are made on-site and from scratch we are pretty good at looking after special dietary needs. Check out the menu and give us a buzz if you have any concerns. We love a big group to join us for a long lunch or dinner, for any groups over 15 we do require you to be on a slightly reduced menu that we can tailor to your needs.